New York was incredible!!! It was overwhelming, overstimulating, captivating, majestic, beautiful, everything and nothing like I expected. We took the bus from DC to NY and just 4 hours into our morning drive I saw the skyscrapers. I immediately lit up inside as I slowly watched one of my dreams come into focus. I think even Jay-Z was quietly playing in the background as we got closer and closer into the city. We dropped our luggage at the hotel and we were out the door to explore this exhilarating place. We walked all around Manhattan and explored Times Square. Times Square was awesome but also not quite as exciting as I had hoped it would be. Still fun to see it, but not quite what I thought it would be. We were so exhausted from all of our walking that day that it was nice to go back to the hotel and grab dinner and get a good nights rest for our busy day the next day. Friday we were off to Central Park!! I knew I wanted to spend the majority of my day there and so we did! My cousin was so patient with me as I took in all that it had to offer. This park is so beautiful and so much more amazing than it is portrayed in any tv show or movie. Christian and I ran in the park and walked all over taking pictures, and then stopped for a cafe au lait at Le Pain Quotidien. This cute cafe (it is a chain) that sat right in the middle of the park. We ate a pastry and sipped coffee and I got to just take in the fact that I was actually sitting in Central Park... in NEW YORK!! Such a dream come true. We left the park got on the subway and headed home to get ready for our evening spent on Broadway! We showered and did our makeup and hurried over to the DryBar to get our hair professionally done! 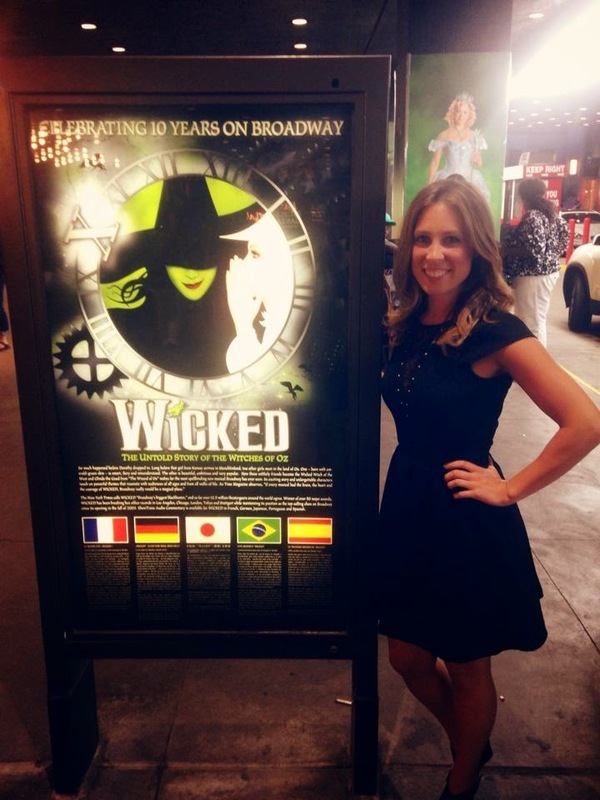 It was so fun, and then we were whisked away in a taxi to see all that Wicked had to offer! 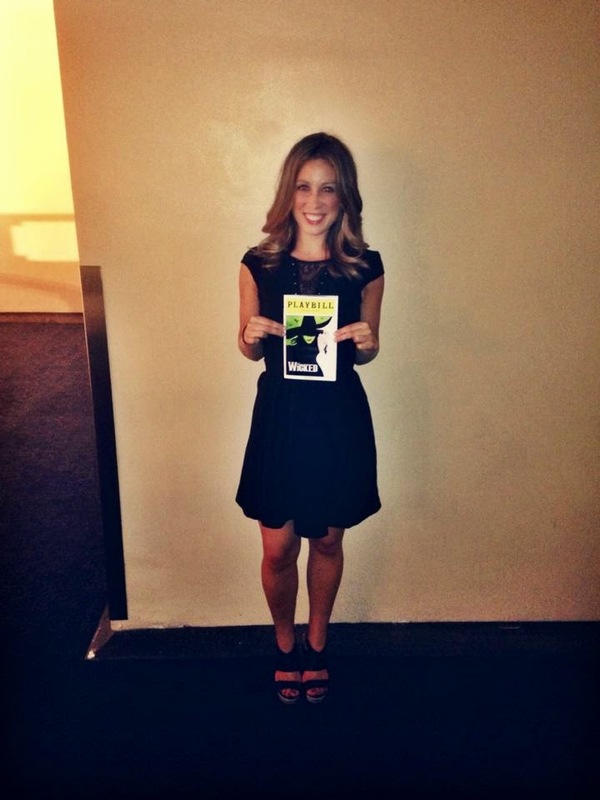 It was an amazing musical. There was a point in the musical where I thought to myself "I know what true joy is." That experience was unlike anything I had ever witnessed before. It was magical, and it also took everything within me to not run on that stage and start singing along. Quick Overview: Times Square= It's Aight; Central Park= AMAZING; Wicked= JOY. I can't wait to see more musicals in the future. It is worth the money. Believe me. Saturday we took the subway to Soho. It was a fun, fancy place to shop. We looked around there for awhile and then it was time to head back to catch out bus home. A short trip in NY, but meaningful and exciting none the less. You have to visit! PS: Wicked is Great too!